Metrohm 751 Titrino 685 Dosimat 730 Autosampler Coulometer w/ Controllers . New Life Scientific, Inc. These instruments will be packed in multiple parcels and thus, cannot be quoted using eBay's built-in calculated shipping. Please contact us for a shipping quote. 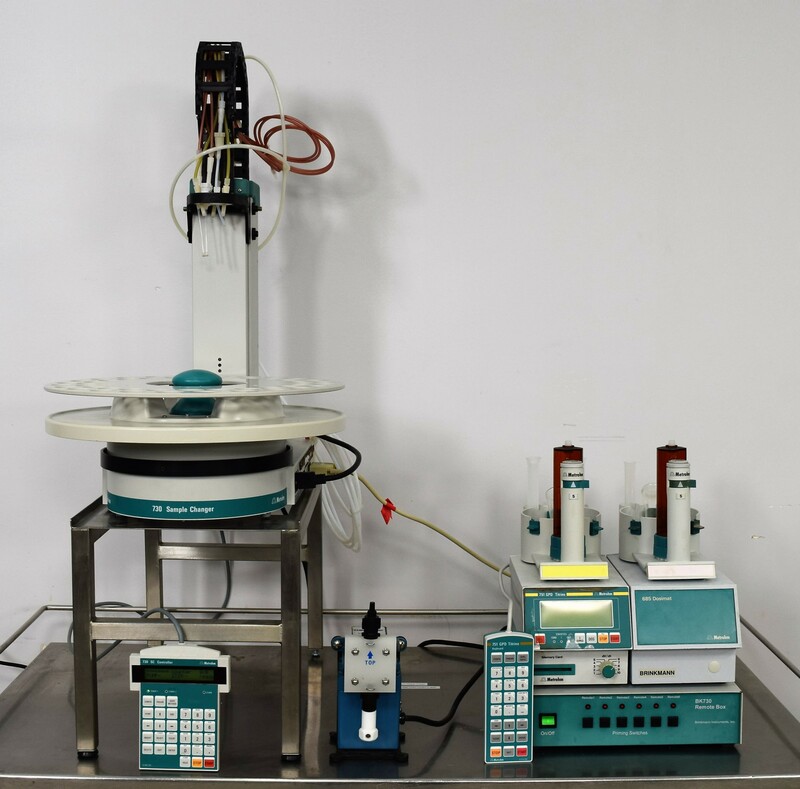 This notably complete titration system includes connector cables and power cords required to operate the equipment. The set does show some staining and wear, not atypical of instruments of this age but certainly not representative of the instruments when they were new. All pieces of the system initialized when powered up, and the system is protected by a 90-day warranty. It is worth noting that one of the valve tangs is cracked due to over-tightening. The technician interconnected the components and the system passed initialization. The sample changer carousel turned in each direction, the dosimat exchange unit rotated, and the controller keypads respond.